An irresistible haven for adventurous travellers, yogis and surfers alike, Canggu is undoubtedly the most up-and-coming region of Bali! 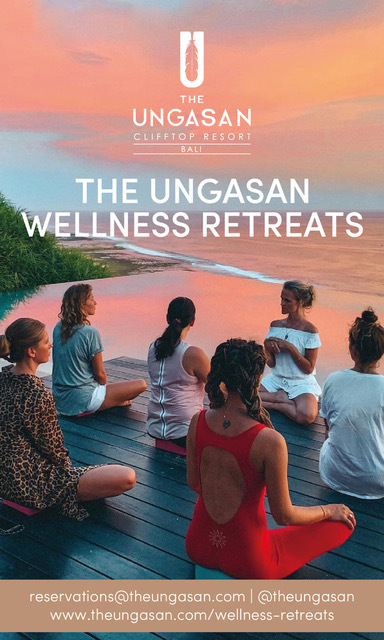 The village derives its charm from edgy street art, a thriving surf scene and of course – a multitude of wellness-centred (and totally Instagram worthy!) vegan cafes. 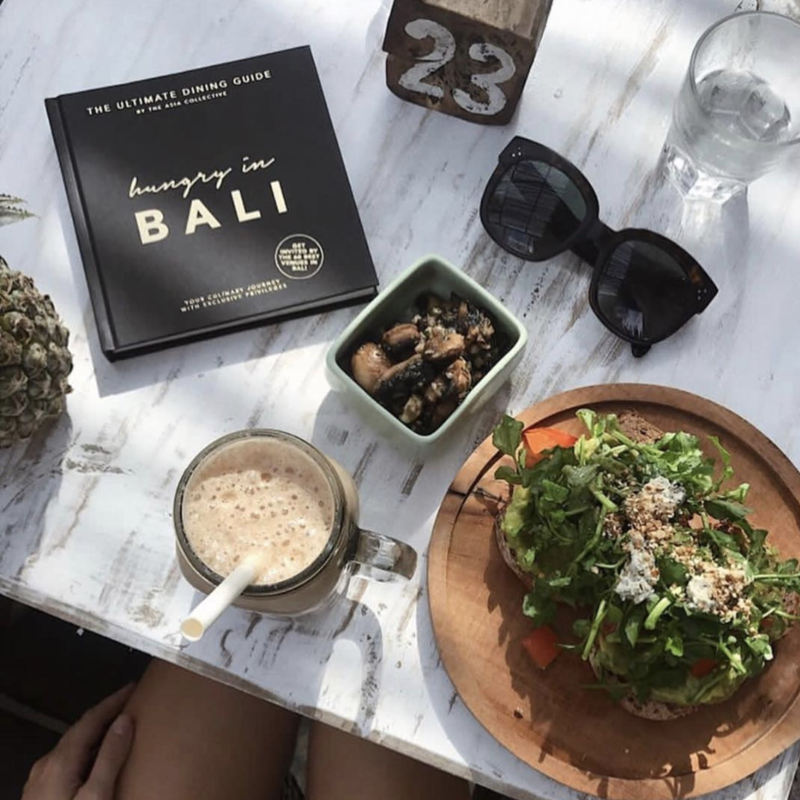 Discover the best spots for a plant-based brunch, delicious cold-pressed juices and the best smoothie bowls in this guide to the Best Vegan Cafes in Canggu by The Asia Collective. Combine an amazing organic menu with a vibrant atmosphere and you’ll get Peloton Supershop, vegan cafe and artisan bicycle shop in Berawa! Open all-day, this cafe serves up wholesome, plant-based dishes from fully loaded breakfast boards, smoothie bowls to colourful salads. Pair your meal with a superfood smoothie or try Peloton’s coconut latte, said to be one of the best in town! Complete with excellent service, discover why this cafe garners raving reviews from satisfied diners time and again. Click here to browse Peloton Supershop’s full menu, one of the Best Vegan Cafes in Canggu. Set amongst a lush garden setting which overlooks the rice fields of Canggu, The Shady Shack is a hidden gem that’s a favourite among both locals and visitors. 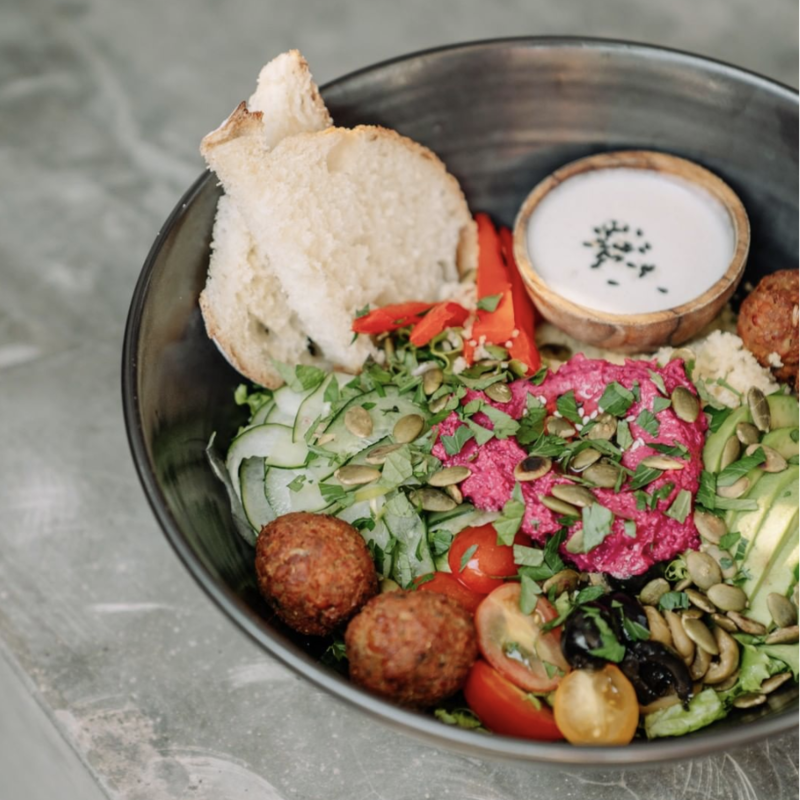 Take your pick from a wide selection of smoothie bowls, salads and vegan burgers to enjoy in cosy nooks all around this quirky cafe. Must-try dishes here include the Shack Attack Burger and Jackfruit Tacos! For those with a sweet tooth, there’s also a wide selection of delicious raw desserts which changes daily. TAC Tip: Buy two main dishes to receive two complimentary beverages at The Shady Shack with your copy of Hungry In Bali. 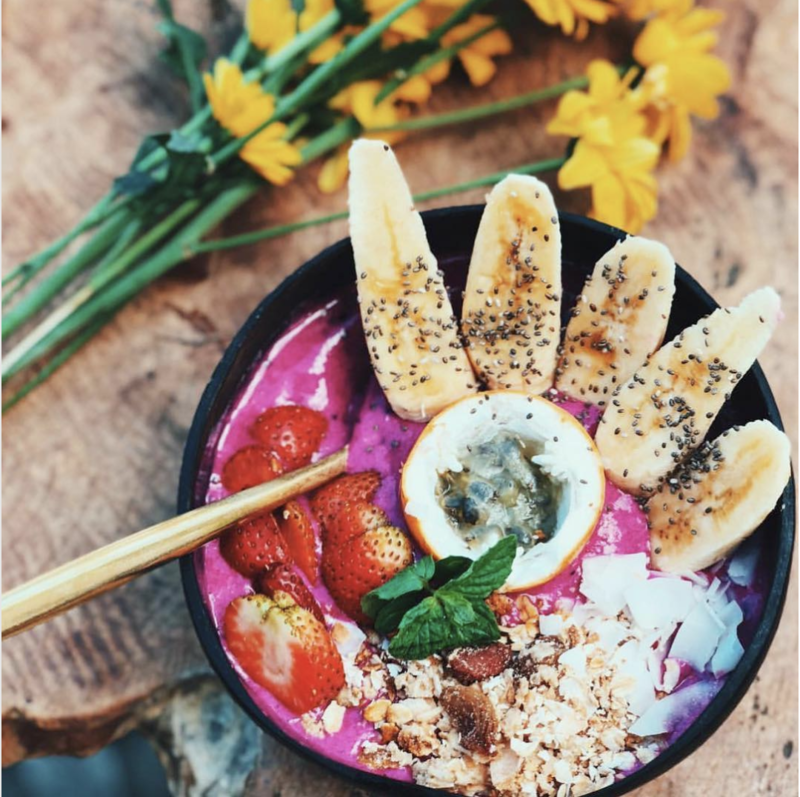 Look no further than Bali Bowls and Smoothies for your fill of Instagram-worthy smoothies, protein bowls and vegan dishes! 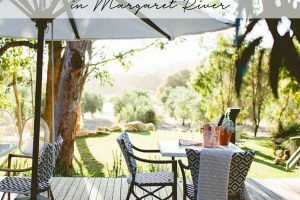 The menu has been thoughtfully crafted by the owners, offering wholesome dishes to nourish the mind, body and spirit. Hot favourites at this spot include the Sweet Kale Buddha Bowl, Turmeric & Tomato 65 Curry, and the Yogiberry Smoothie. With the freshest ingredients and stylish interiors, Bali Bowls and Smoothies is the perfect place to #eatlovebali. 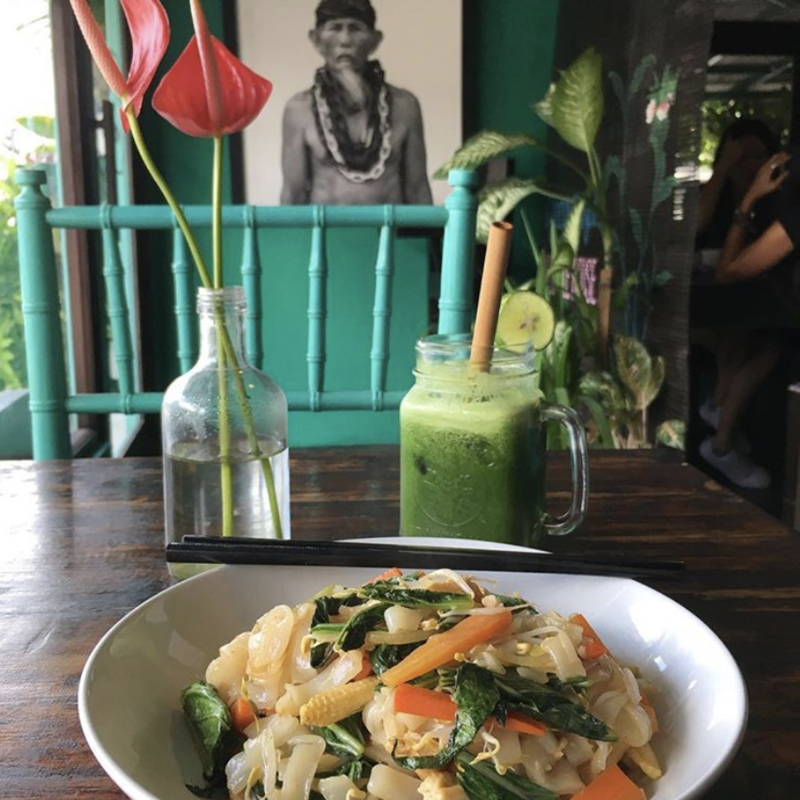 Click here to browse Bali Bowls and Smoothies’ full menu, one of the Best Vegan Cafes in Canggu. TAC Tip: Enjoy 20% off the bill at Bali Bowls and Smoothies with your copy of Hungry in Bali. 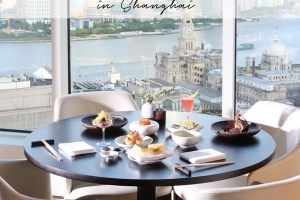 The sister restaurant of The Elephant, Green Ginger Noodle House offers a tempting selection of vegetarian and vegan dishes inspired by South East Asian cuisines, served within a relaxing atmosphere. Savour everything from Singapore Noodles, Thai Red Curry to Malaysian Laksa, paired with a refreshing fruit cooler. Green Ginger does excellent breakfast and coffee as well! What’s more, the cafe is part of the international Slow Food movement, recognised for their environmental efforts. 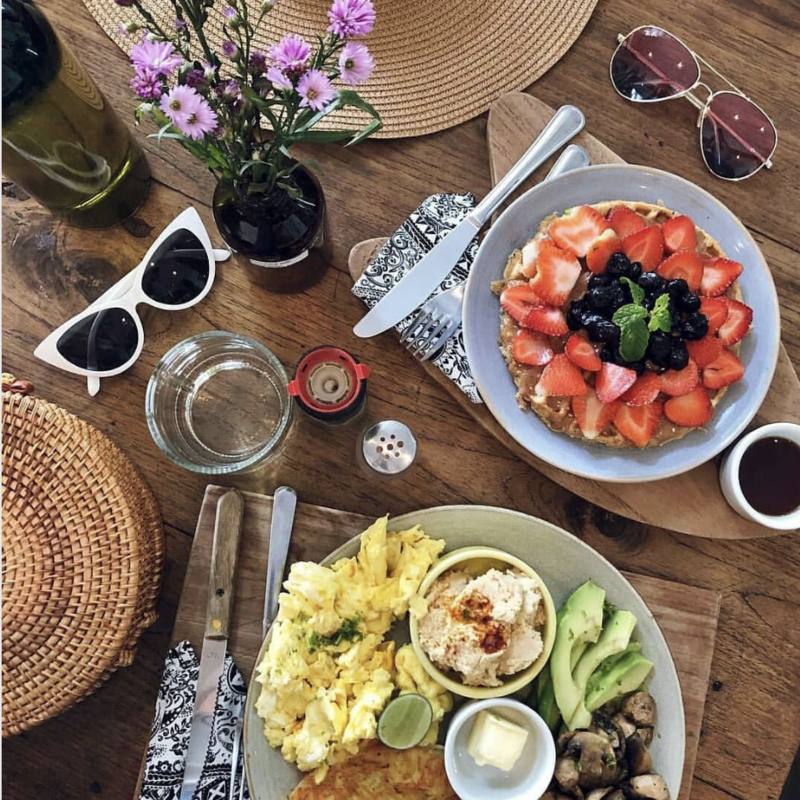 A cafe passionate about using locally farmed produce to create simple dishes, Café Organic Canggu is the second outlet after the popular Seminyak branch. Be completely spoilt for choice with their extensive menu, offering 100% vegetarian dishes from breakfast to dinner with a good number of vegan options. Indulge in every possible variation of coffee, smoothies and juices here, while you enjoy a slow afternoon amidst their stylish interiors. Don’t forget to snap a photo for the gram and hashtag #gardengangstas! 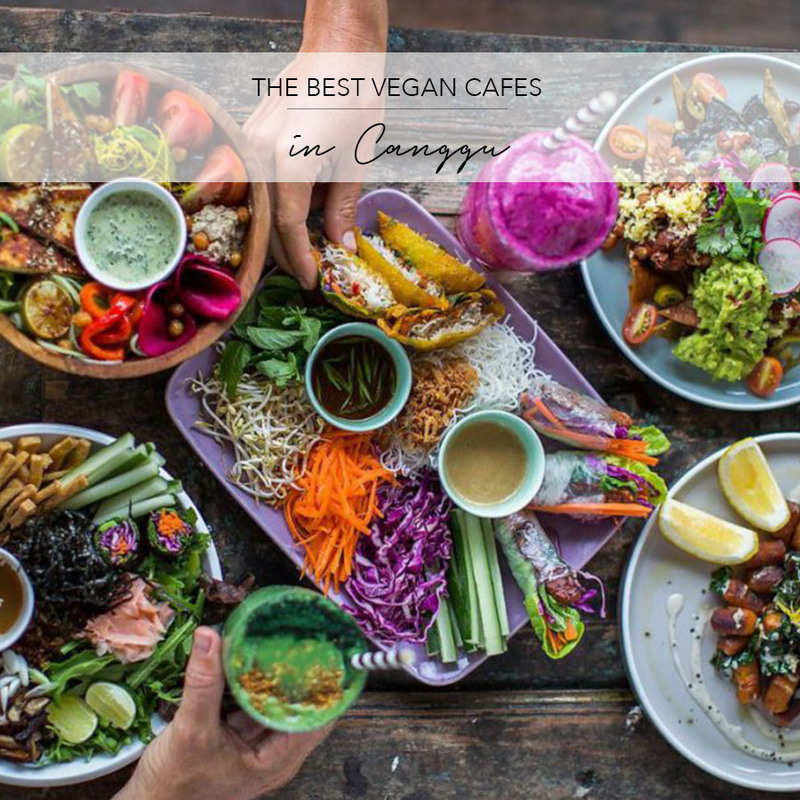 Click here to browse Café Organic Canggu’s full menu, one of the Best Vegan Cafes in Canggu. 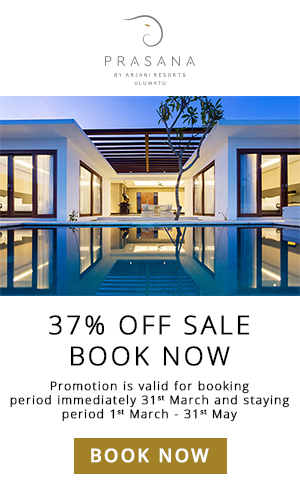 TAC Tip: Enjoy 25% off the bill at Café Organic Canggu with your copy of Hungry in Bali. Created by the folks over at KYND Community, GIVE Cafe isn’t quite your typical cafe – other than being 100% plant-based, all their profits go towards charity as well! Their menu features delicious traditional Indonesian cuisine with a plant-based twist. The early birds can enjoy breakfast options such as bruschetta topped with generous amounts of smashed avo. For lunch and dinner, make sure you try the Nasi Campur, or Nasi Goreng Special! Savour every bite of your meal at GIVE, knowing that you’re doing good for the people, planet and animals. Click here to browse GIVE Cafe’s full menu, one of the Best Vegan Cafes in Canggu. Open from breakfast through to dinner, the Betelnut Cafe is a unique local cafe set within a treehouse. With a focus on fresh, natural ingredients – their menu is chock full of hearty, healthy Western dishes with a Balinese influence. Think breakfast bowls, falafel wraps, and a variety of Mexican burritos! Cool off from the Bali heat with one of Betelnut’s many tea options or a slurp-worthy smoothie, as you relax under the thatched roof and overlook lush rice paddies. 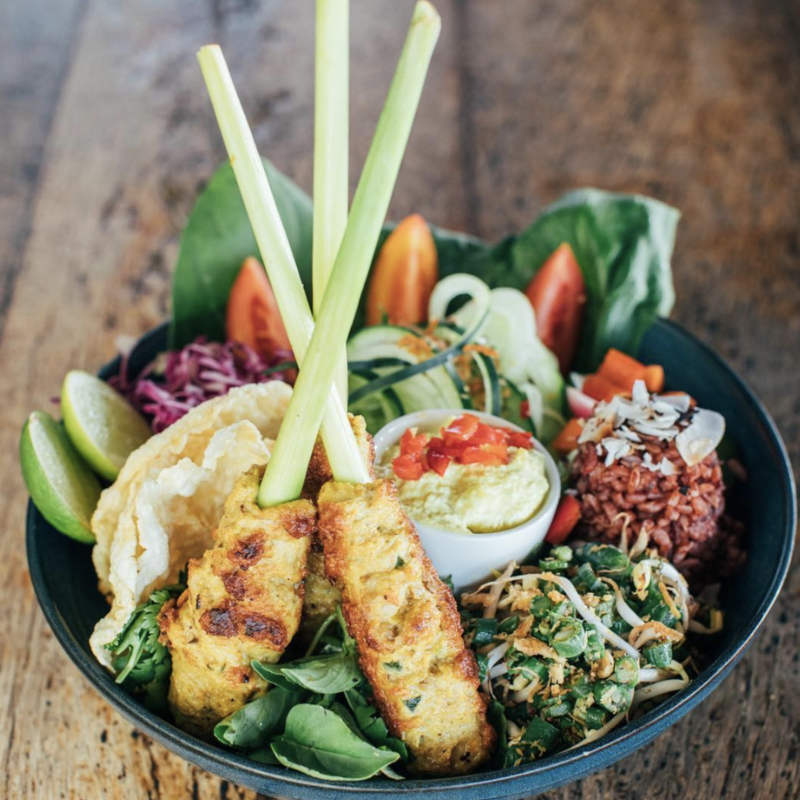 Click here to browse Betelnut Cafe’s full menu, one of the Best Vegan Cafes in Canggu. TAC Tip: Get your copy of Hungry in Bali and receive two complimentary beverages with every two main dishes purchased at Betelnut Cafe. 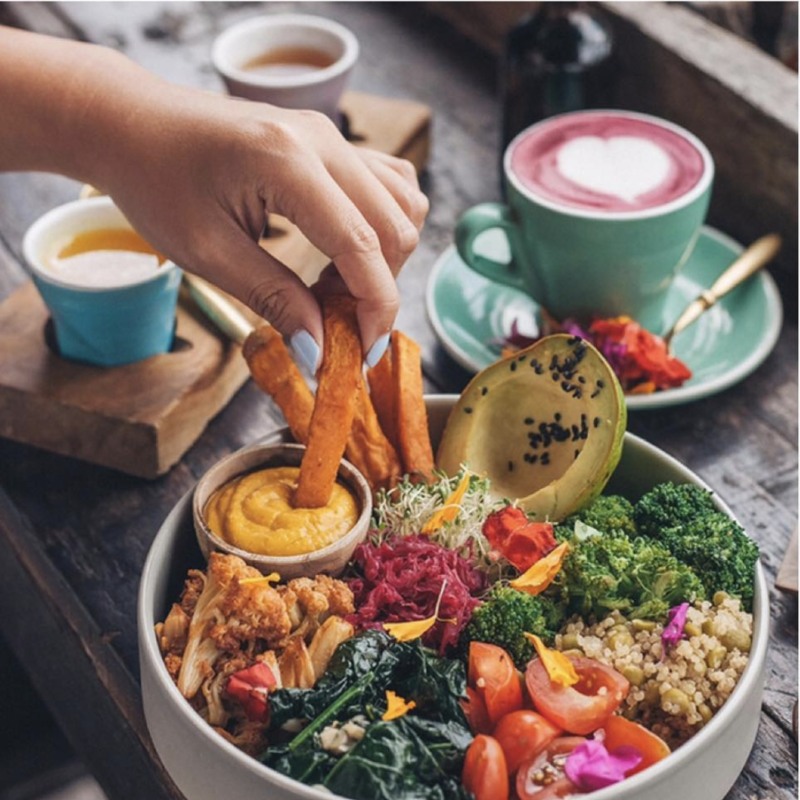 Describing their food as “California cuisine, marinated in Bali”, Koloni is one of the newer additions to Canggu’s vegan cafe scene. 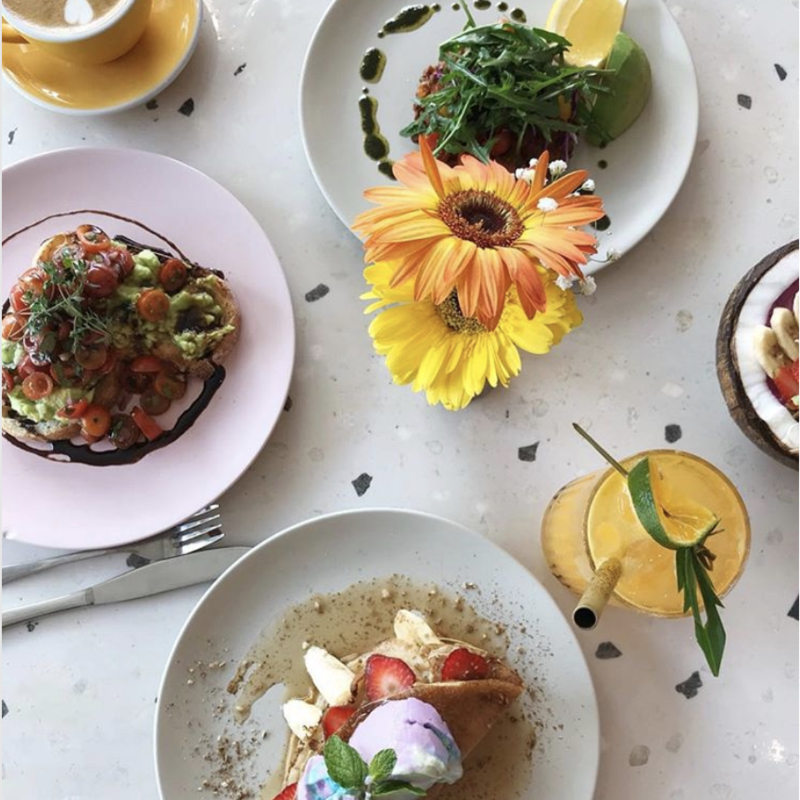 Nonetheless, it has quickly gained popularity for its inventive dishes, such as their Carrot Cake Waffles, Smashed Avo and Mediterranean Falafel Bowl! With an air-conditioned dining room and an alfresco courtyard, Koloni is the perfect spot to settle into, day or night. Need some ideas on what to order? Just take a look at Koloni’s aesthetically pleasing Instagram feed which is full of drool-worthy images! Click here to browse Koloni Cafe’s full menu, one of the Best Vegan Cafes in Canggu. Motion Cafe is the go-to spot for fitness addicts looking for smart and clean meals! Their menu features locally-sourced, homemade dishes that are designed for optimal nutrition absorption, sans gluten and refined sugar. 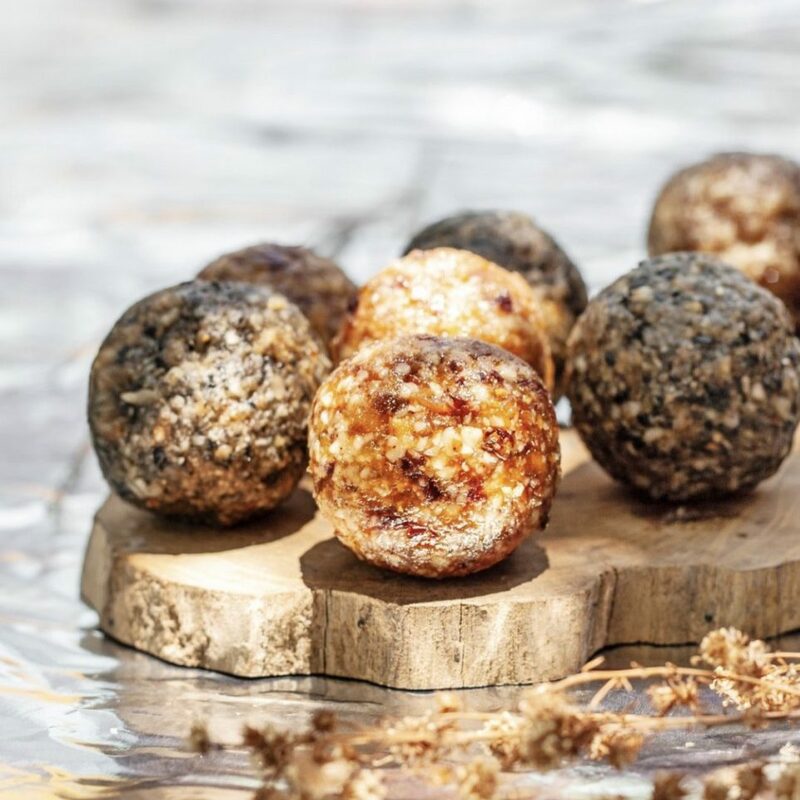 Indulge in dishes like Paleo Sweet Potato Waffles and the Lentil Burger or enjoy light nibbles like the Motion Green Ball. The colourful interiors with a touch of vintage also make for the perfect relaxed setting! P.S. It’s protein shake happy hour daily from 2pm-5pm, so be sure to try one out! Click here to browse Motion Cafe’s full menu, one of the Best Vegan Cafes in Canggu. 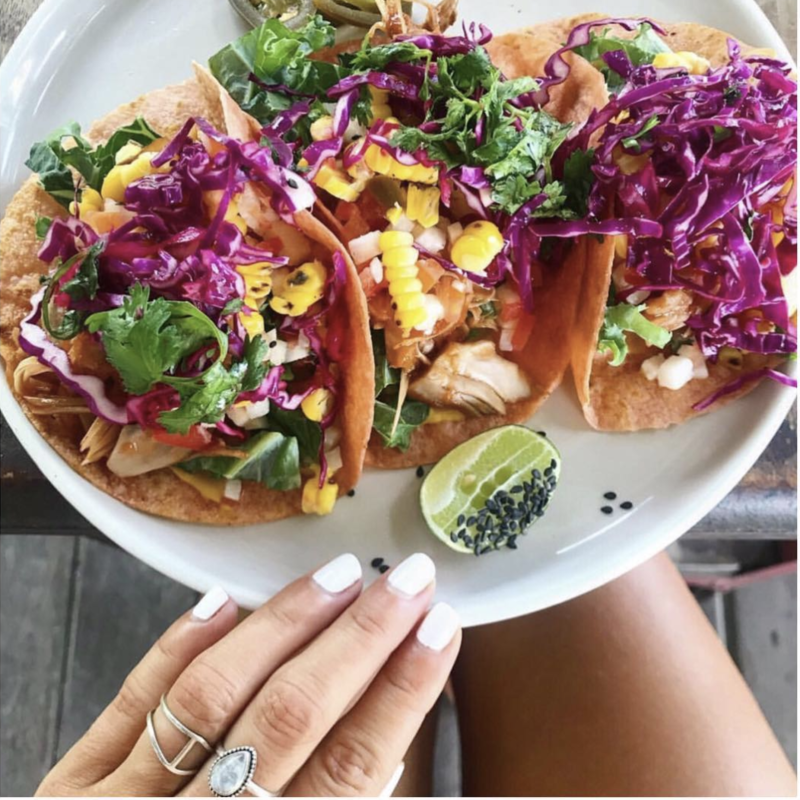 A gem located within Batu Bolong, In The Raw Bali is an open-air cafe that features an inclusive menu to cater to Canggu’s diverse crowd. Here you’ll find everything from vegan bowls, bliss balls, to must-try jackfruit curry and even hearty, carnivorous burgers for your non-vegan mates! Absolutely not to be missed here is the cold-pressed juices, synonymous with In The Raw’s identity. Professionally pressed and offering the widest range of flavours on the island, the cold-pressed juices are the ultimate delicious tonics to nourish your body. 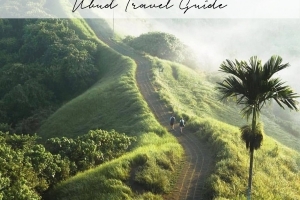 This article has been written in collaboration with Bali guru Ashleigh Law. Our guide directs you and your travel partners in crime to Bali’s must-visit venues that cannot be missed across Seminyak, Canggu, Ubud and the Bukit Peninsula.